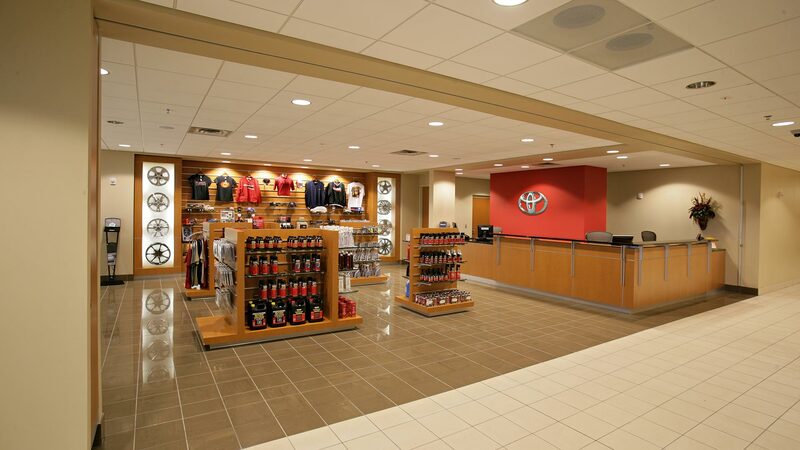 This new Toyata Service & Sales facility is one of the largest dealerships of its kind in the Eastern United States. 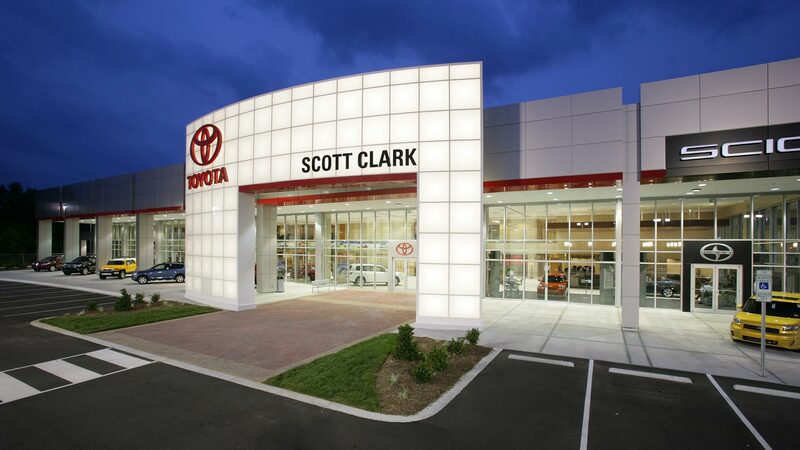 Scott Clark is a larger than life personality and he wanted his new facility to reflect his dreams of being the largest Toyota dealer in the country. 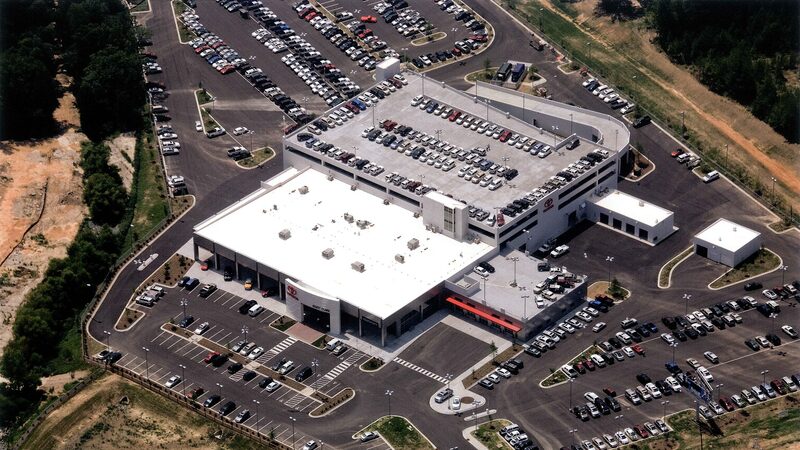 With site constraints and the size of the building, it was necessary to go vertical with parking, thus a 2 level parking deck was added above the 75 bay service & repair facility. This allowed for the amount of inventory needed on the lot for such a high sales volume. 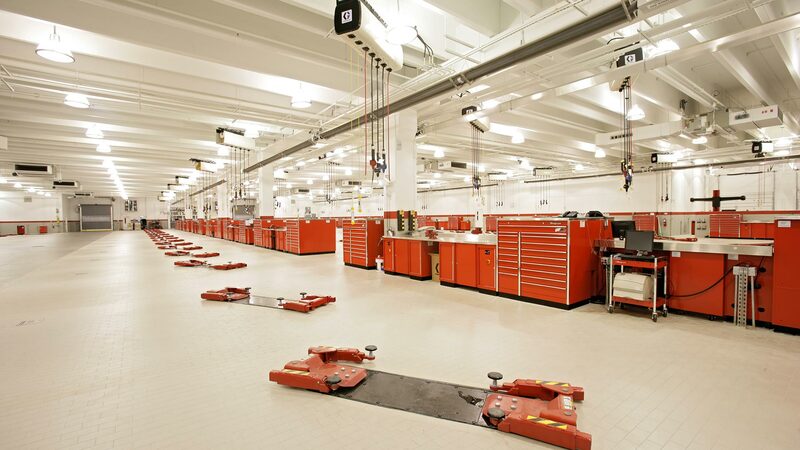 A five lane service drive was created to handle as many service customers as possible. This facility can also accommodate larger, commercial fleet vehicles as well as passenger cars, thus expanding the facility’s service customer base. 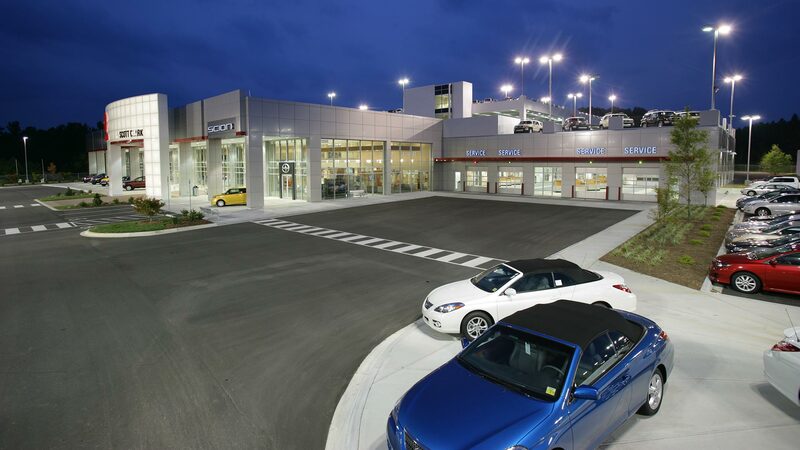 The showroom is an expansive sales area with a large, two story volume complete with customer amenities.